Boss Gary Rowett says Burton Albion can win promotion from the League Two play-offs this season. The Brewers, who host Southend in the first leg of their semi-final on Sunday, were knocked out by Bradford at the same stage last term. "It was great to be in the play-offs and maybe we thought, subconsciously, that it was enough," said Rowett. "This time around we are more focused on 'OK we're here, that's over', now we can really achieve something." 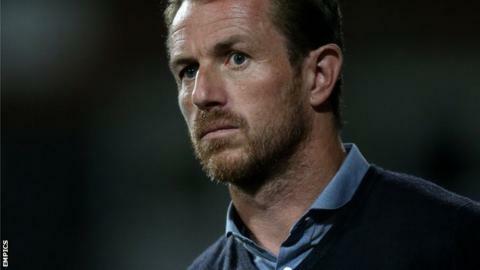 Speaking to BBC Radio Derby, Rowett continued: "There are four teams, and one team has to be promoted, so why can't it be Burton Albion? We will be doing everything in our power to do that." Burton had taken a slender lead into the second leg of their play-off semi against Bradford at the Pirelli Stadium last term only to be beaten 5-4 on aggregate by the eventual League Two play-off final winners. Rowett said the disappointment has helped ready Burton for their latest bid for promotion. "We learnt a lot about the preparation, and the way you approach these games in the weeks leading up to it," he said. "We've also learnt a lot about the expectations from people around and outside the camp, and how to manage those. "You also learn about the games themselves. You look at form and it doesn't really play a factor - what plays a factor is handling the occasion and handling the key moments in the game. "You have to embrace them and enjoy them because there are not many times as a player, or staff, that you are involved in these types of games." The Shrimpers finished fifth in the League Two table, one spot ahead of the Brewers on goal difference alone. In a dress-rehearsal for the first leg, Barry Corr's goal sealed victory for Southend in their final regular season match last week.